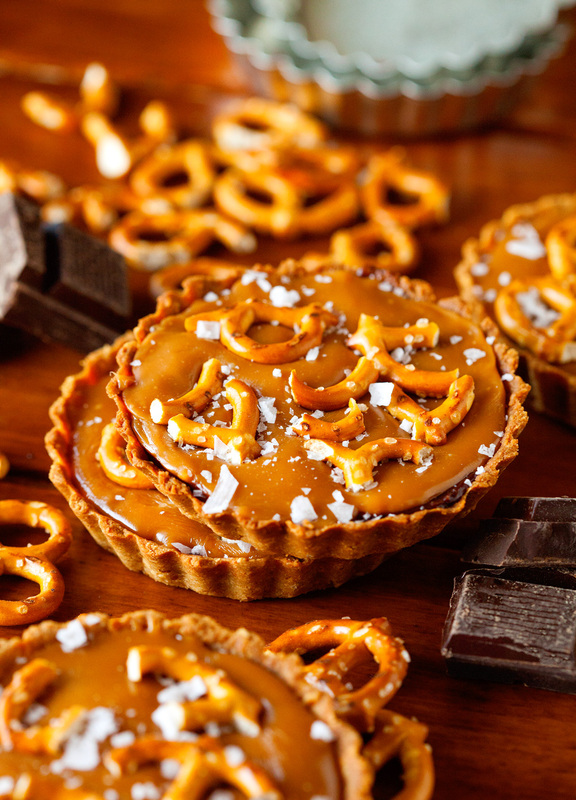 Chocolate-filled Mini Tarts, rich layers of Caramel and salty-sweet Pretzel Crusts. Deeelicous! Happy Monday to you. 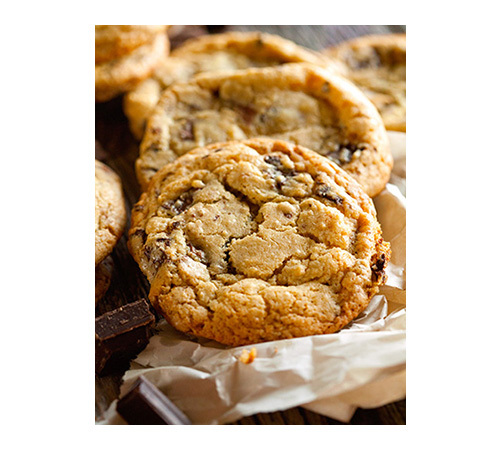 I hope you’re in the mood for something salty, sweet, chocolaty and oh-so decadent. Yup, we’re continuing the love for all things caramel that started (once again) last Friday and also continuing on with the theme of preparing things I’ve never made before. The success of my first ever cupcakes posted on the blog, certainly gave me enough confidence to try my hand at other desserts that have been swirling around in my head, aka Tarts. So, as I set out to purchase a tart pan and inevitably stumbled upon mini versions, I basically bolted out of the store and headed straight for the kitchen. Inspiration struck at lightening speed. Caramel! Chocolate! Pretzels! Mini Tarts! Sooo much excitement. I was totally up for the challenge of making everything from scratch, but to be honest, I was mostly just hoping that my tart experiment would be successful in the flavor and taste department. Thinking about combining 3 of my favorite things into one epic dessert, basically had me drooling during the ride home. Little did I know how adorable, beautiful and absolutely mouthwatering these tarts would turn out to be. Mini tarts seriously have it going on! As the title indicates, the crust is all about crushed pretzels. No idea why it took me so long to whip up a crust featuring those yummy twists. It worked beautifully and made for an impressive base for what was to come next. 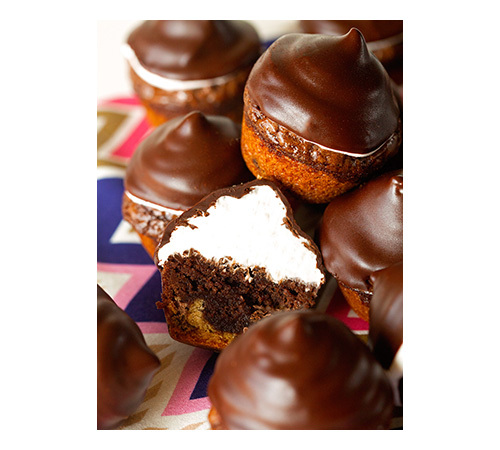 Semisweet Chocolate + Heavy Cream = The Chocolate Filling of your Dreams. 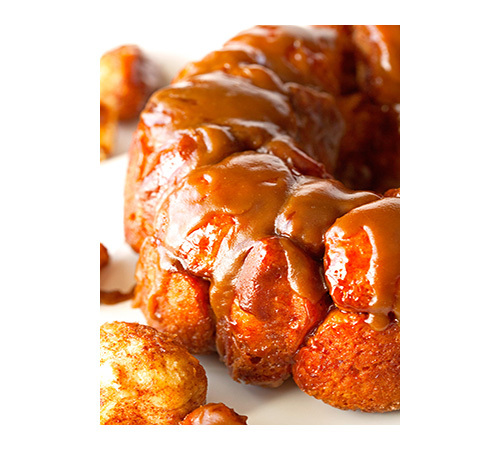 Last, but not least, was the caramel that really sets everything over the top. I opted for the same salted caramel sauce I used for Friday’s cupcakes. Except I omitted the salt this time around. The pretzels offer plenty of salty goodness. 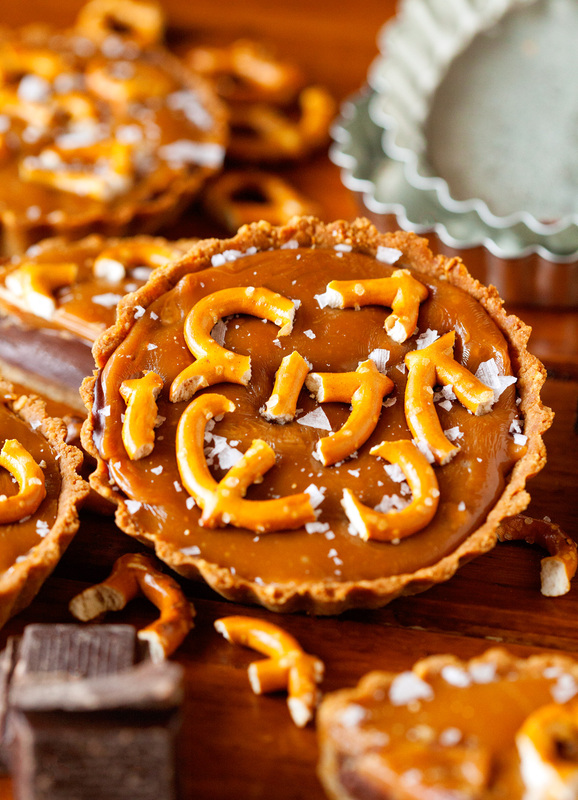 Speaking of which… don’t forget to press additional pretzel pieces into the caramel layer. 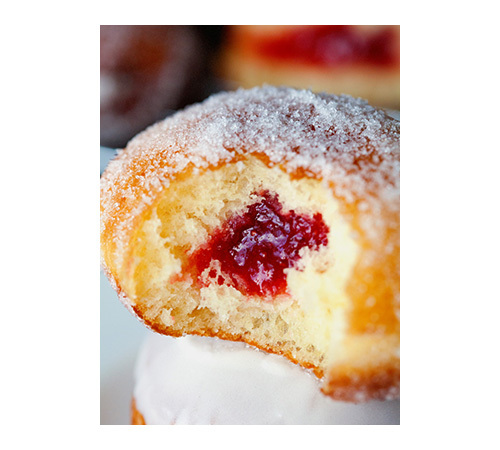 It’s so satisfying and the same goes for the flaky sea salt. Putting the finishing touches on a successful dessert has always been my favorite part, aside from taste-testing, of course. My brain is already going crazy about possible flavor combos for the future. This will not be the last time you find tarts here on my little space. But for now I am thoroughly enjoying what you see here. Mini tarts deserve our full attention and long to still our grumbling bellies. What, you heard it too?! Good. You better hurry into your kitchen and get cracking, ha. 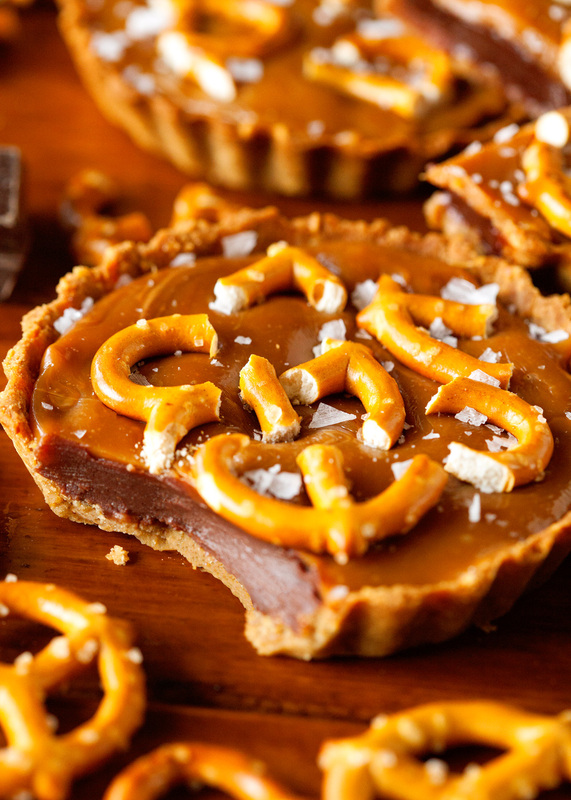 In all seriousness though, I sincerely hope you try your own hand at Chocolate Caramel Mini Tarts with Pretzel Crust. You are in for a real treat. 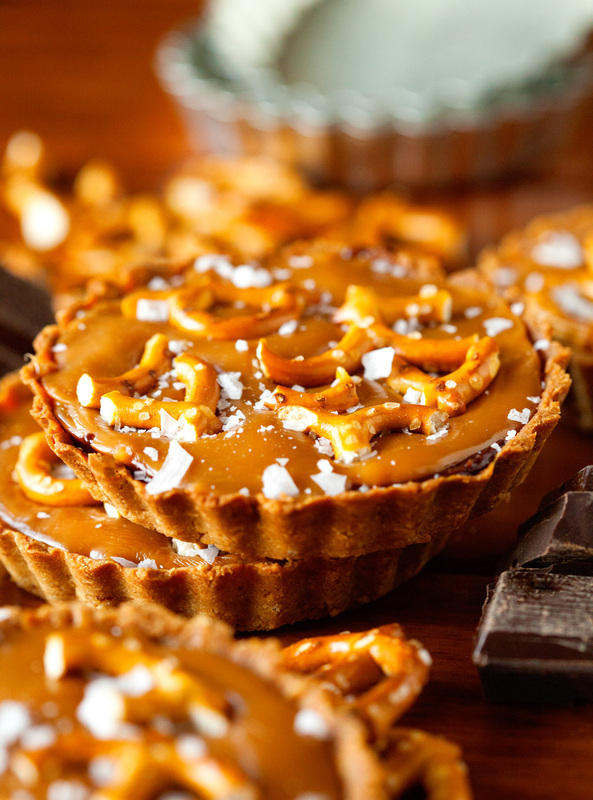 Mini Tarts filled with an amazing chocolate filling and topped with luscious caramel. And don't forget about the best part - the crust. 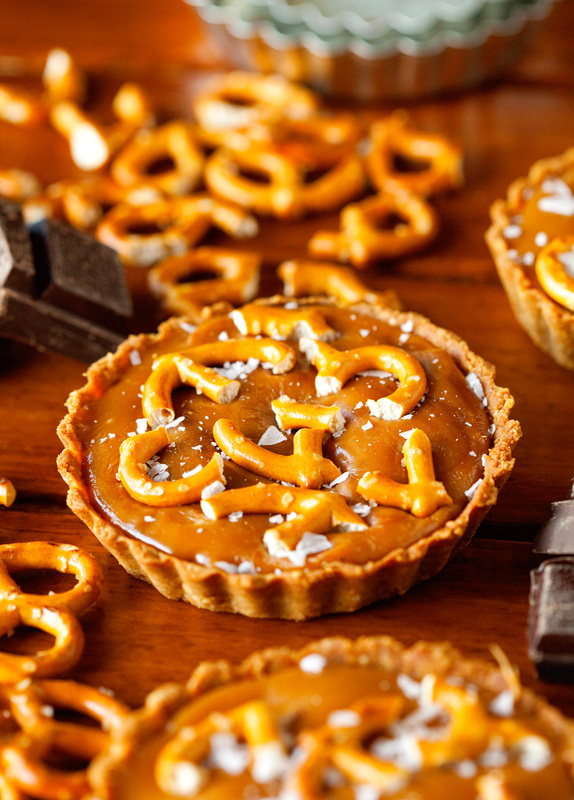 If you love pretzels, you will adore the base of these tarts. Everything about this dessert is mind-blowing! 1. Place pretzels into a food processor. Pulse until crushed and no big pieces remain. Once crushed, add melted butter and vanilla and pulse until incorporated. Add sugar and flour and pulse until crust comes together. Turn crust out onto a piece of clear wrap. Place another piece on top and using a rolling pin, roll it out until about 1/2 inch thick or you are able to cut out 5 equal pieces to fit your mini tart pans. Place rolled out crust into the fridge to chill for 30 minutes. Remove crust from the fridge and using your mini tart pans, cut out 5 tarts crusts (like you would cut out shapes to make sugar cookies). Press crusts into the tart pans. Return to the fridge for another 30 minutes. Preheat oven to 350 degrees F. Remove tart pans from the fridge, cover each crust with parchment paper, and fill tarts with rice (also known as blind baking). Place in the oven and bake for 20 minutes. Remove rice and parchment paper from the crusts and continue baking for another 5 minutes or until crusts are golden brown. Place tart pans on wire racks to let cool completely. 2. Meanwhile, prepare the chocolate filling. Heat heavy cream until it almost comes to a boil. Pour hot cream over the semisweet chocolate that was placed into a medium bowl. Let sit for 10 minutes. 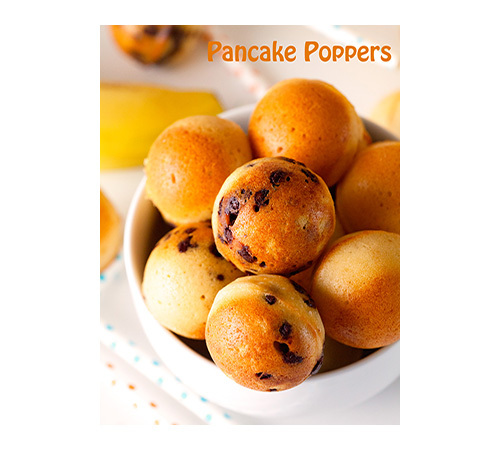 Stir chocolate mixture until a thick and glossy filling forms. 3. Fill baked crusts evenly with the prepared chocolate filling and place in the fridge for an additional 2-3 hours, or until set. 4. While the tarts are setting, prepare the caramel sauce*. In a medium saucepan, heat sugar over medium-high heat, stirring constantly (using either a wire whisk or a wooden spoon). 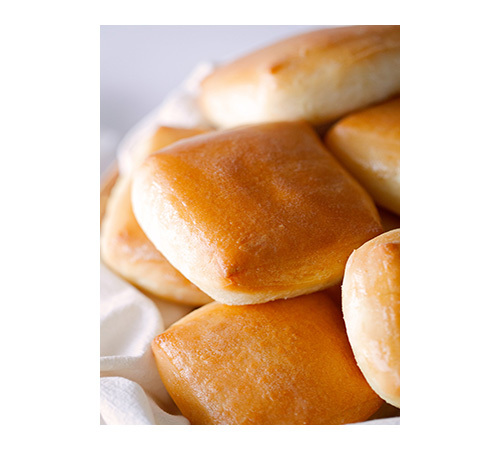 Continue to stir until sugar is completely dissolved and no lumps remain. Melted sugar should be a golden brown color. Add butter to the sugar and place a thermometer into the hot mixture. Butter should be completely melted and mixture should reach 350 degrees F. Immediately remove from the stove. Give it a good stir and slowly whisk in heavy cream. Continue stirring until heavy cream is fully incorporated and smooth. Let sauce cool. 5. 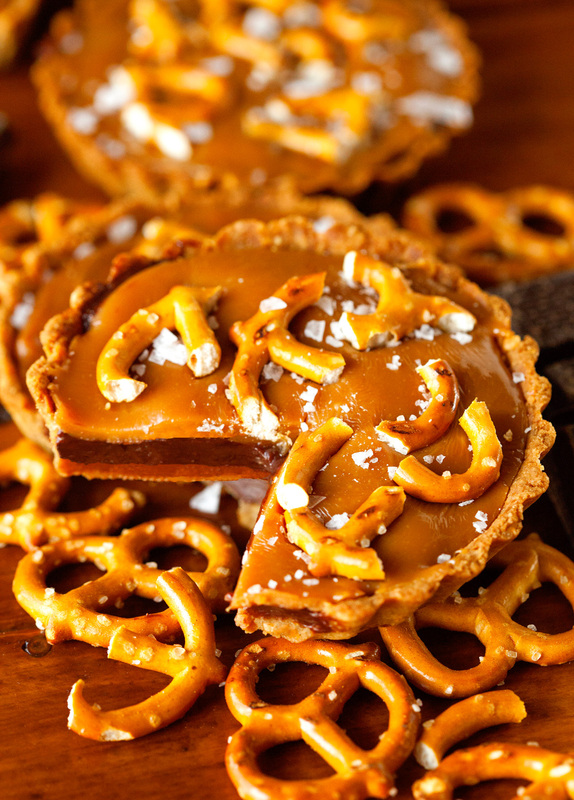 Remove tarts from the fridge and top off with caramel sauce. 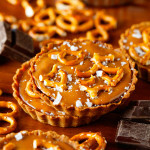 Press pretzel pieces into the caramel layers and sprinkle with sea salt, if desired. Return tarts to the fridge for 30-60 minutes or until ready to serve. 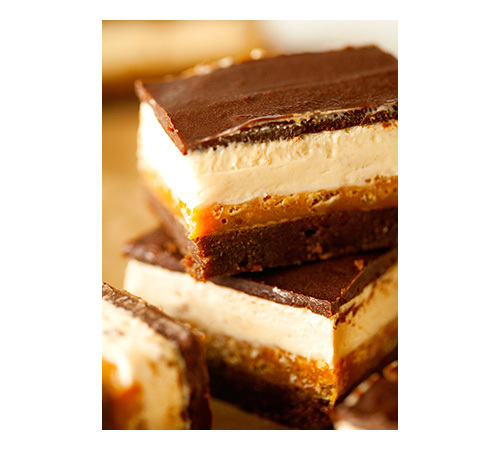 *You can also make the caramel layer by melting a bag of soft caramels with 1/3 cup of heavy cream in a medium saucepan over medium-high heat. The mini tart pans I used were 4 1/2" by 3/4". Ooo, there’s a bakery near my house that makes chocolate tartlets and they put a layer of caramel on top! 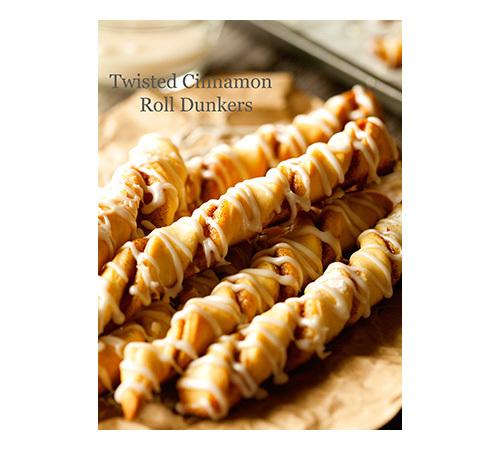 They are fantastic, but I be yours with the pretzel crust are out of this world good! Yum!